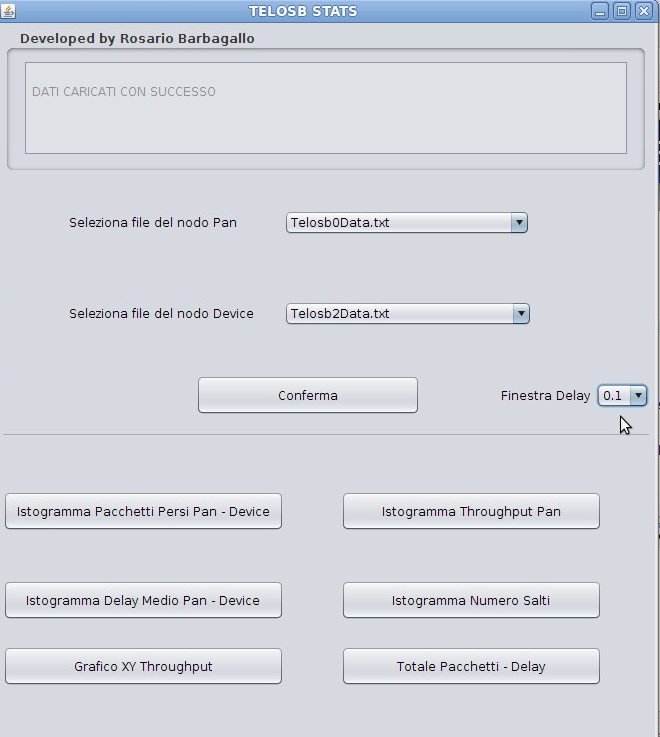 I have programmed devices TELOSB using language NESC. I have created a network cluster-tree algorithm and implemented a channel hopping algorithm. The router receives the association request from the device and starts a timer when the timer expires, the router computes the new channel using the random function and makes the jump. 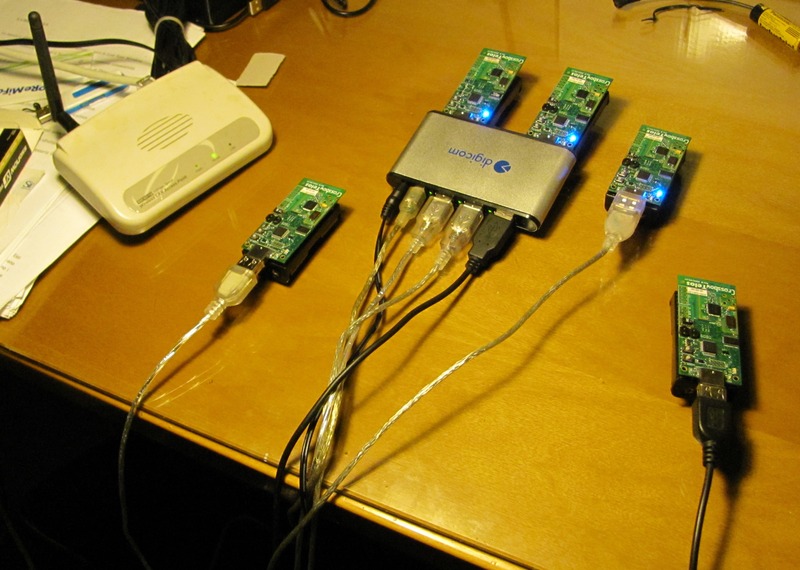 During the execution of the timer, the router receives data from the device. The device, received confirmation from the Association Router, start the timer. When the timer expires, the device calculates the new channel and makes the jump. During the execution of the timer device sends the data only after the data generation timer has expired. 1. Histogram Packets Sent, Received and Lost. 2. Delay maximum, average, minimum and standard deviation. 3. 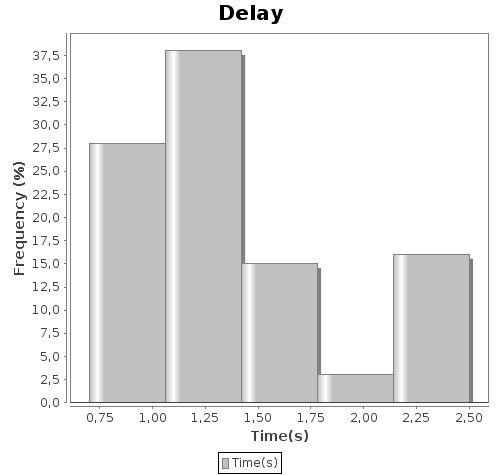 Histogram of the delay intervals, with the possibility to select the desired interval interface. 4. Histogram Average Throughput (bits \ second). 5. Throughput Graph XY (horizontal axis – second , order – average throughput (bit \ s). 6. Chart Total Package and Delay for all devices on the network.